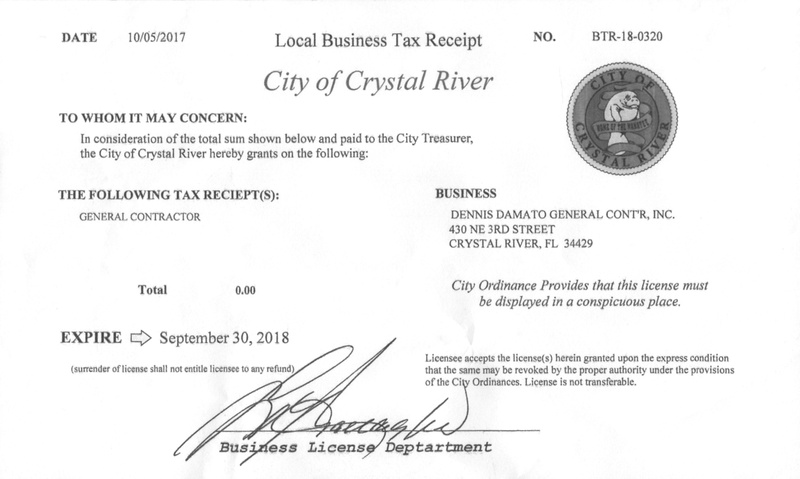 Since 1972, I have been committed to providing superior construction services to this area. Custom building is what I do best. I believe that involves caring for your particular needs and being attentive to even the smallest details that make your project special. My commitment to excellence continually produces work that I and a long list of satisfied customers are very proud of. For this reason I work under my own branded name. 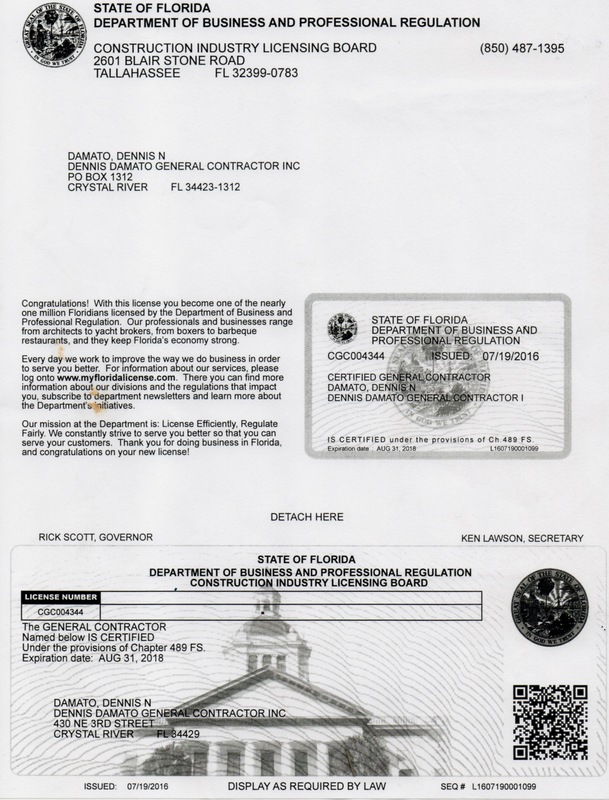 I hold a State of Florida “Class A” Certified General Contractor License Number: CGC-004344. I am fully insured for the protection of all concerned. I am fully insured for the protection of all concerned. All workmanship is performed by the most competent employees and licensed and insured sub-contractors. I personally supervise each project on a daily basis. Performance, quality second to none, true craftsmanship, reliability and value have been our tradition since 1972. I would enjoy the opportunity to become the link between your plans and reality on any project you are considering that requires the talent and expertise I have to offer. Copyright Dennis Damato General Contractor© 2016. All Rights Reserved.